Merry Christmas in July! Let’s celebrate with some frozen pumpkin mousse pie. Since Goose was born, I have even more of a soft spot for them. Hallmark Channel made the switch to all Christmas movies within a few weeks of Goose’s birth. The first night of the switch, there was a Christmas movie on about a little girl who’s parents died and wouldn’t talk anymore because she was traumatized by her loss. Totally not the movie to watch if you are a new, very hormonal mommy. But I sat there, engrossed, with my sleeping newborn in my arms and watched it. I full on ugly cried the whole time. My husband sat next to me and full on ugly laughed at me. The whole time. For some reason, that is one of my favorite memories of the newborn days. My sleepy Goose, my silly husband laughing at my silly hormones. The holidays looming right around the corner and the excitement of baby’s first Christmas. So last summer, it was fun to relive that during this week of Christmas programming and I love reliving it again now. 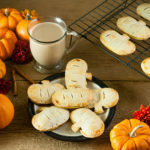 And what better way to celebrate this holiday nostalgia in the warm weather than with a frozen pumpkin treat? Let me give you a disclaimer: I am one of those girls that is a full on pumpkin loving stereotype. I legitimately loose my mind over pumpkin everything while wearing yoga pants and Uggs. Yes, I am THAT girl. 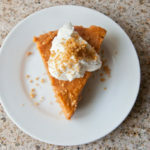 Mostly I own it and find ways to get my pumpkin fix year round like with this frozen pumpkin mouse pie. 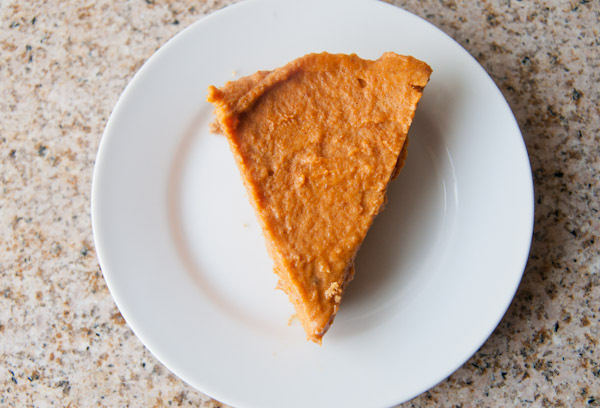 This pie bursts with creamy and deliciously full of the cinnamon sweet pumpkin spice flavor I love. It’s also easy and comes together in about 10 minutes including baking the crust. Light and airy, this frozen perfect for the warm summer days or if you are celebrating the holidays in a warm climate. Plus, it’s skinny jeans and bikini season approved with no added sugar. Better yet, you can skip making the homemade crust (which is gluten free by the way!) and take a short cut with a store bought graham cracker crust the way I did with this peanut butter pie. If you need me, I’ll be on the couch watching a Hallmark Christmas flick, eating this pie. At least until Goose wakes up. Preheat the oven to 350 degrees. While the oven is heating, add the ingredients for the crust to a food processor. Pulse until the ingredients come together and the texture resembles coarse wet sand. Press into a pie dish and bake for 5-6 minutes or until the crust is lightly brown. Let cool in the fridge while you mix your filling. While the crust is cooling, stir together the pumpkin, seasonings, and honey. Fold in the whipped topping. 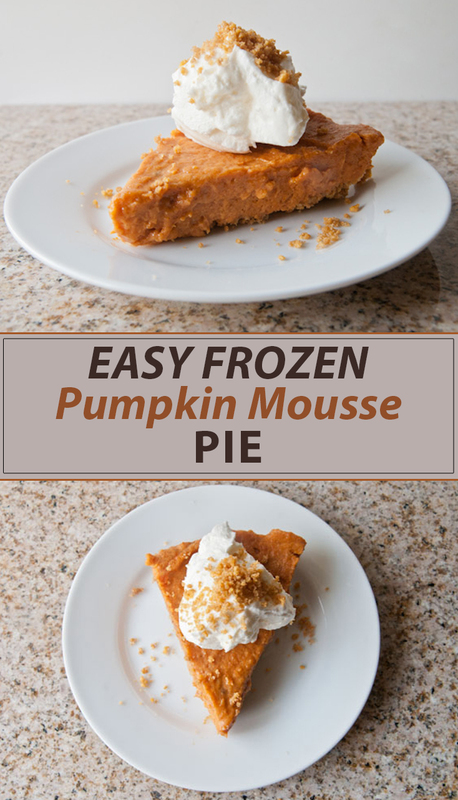 Spoon the mix into the pie crust and freeze for a frozen treat or simply refrigerate for a more mousse like texture. Top with more whipped cream and enjoy! YUMMY! Now I just want pie for breakfast! Pie for breakfast is totally a legit choice. Especially this pie. It has a cereal crust. Cereal is a breakfast food. Done. Pumpkin and mousse is a great combination. Will be making this great dessert soon. I am so happy for this early Christmas present! Ha! I really want to try to make this one! 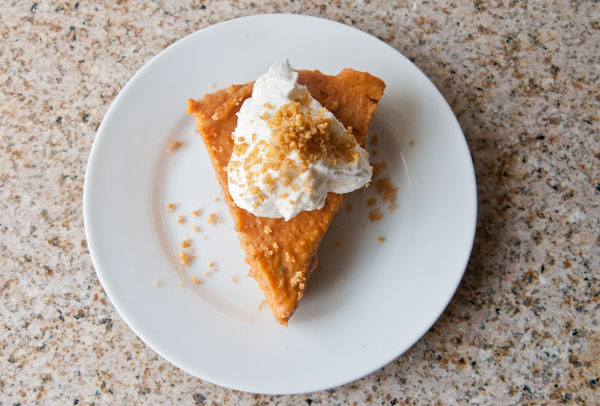 I love the idea of using the Chex in the pie crust, instead of cookie crumbs. 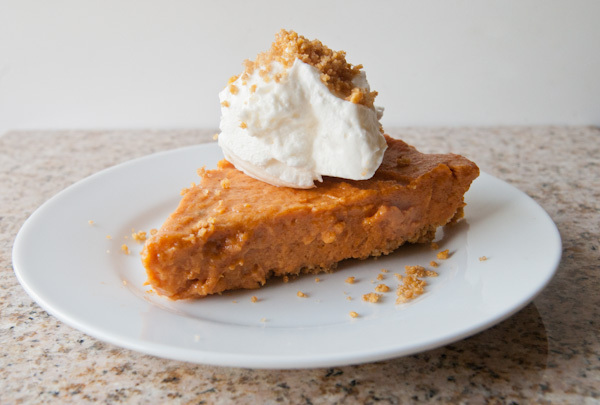 I may just have to bake one of these easy pumpkin pies over the summer! This looks amazing! 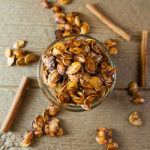 I love pumpkin, and I totally agree that it’s for all year long, not just the fall. So thank you for that! I can’t wait to try this! I never thought about using chex mix cereal as a crust. Great idea! All I can say is yes!!! One of the best parts of the holidays is pumpkin pie!! this looks AMAZING!!! frozen pumpkin pie, how have I never heard of this before?! Oh my gosh. PS, Hallmark channel’s christmas in july is giving me everything! Oh my gosh! Me too! I wish I had more time to watch it all right now. Those movies are my guilty pleasure. Do you have a favorite? i just recently found out that I LOVE pumpkin! Def need to try this pie! I came to pumpkin late too! I hated it until about 5 years ago. Now it’s give me ALL the pumpkin. Oh yum! I love pumpkin year round and all things pumpkin. This sounds delicious. Oh my, this does make me crave autumn! 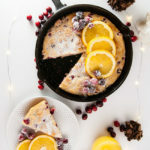 Yum, this recipe looks wonderful! I love anything pumpkin. Thank you for sharing this delish recipe. I never would have thought to use CHEX as the crust, I LOVE that idea! I’m kind of obsessed with Chex. 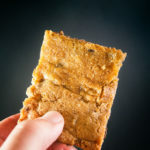 They make such good crusts! YUM. I am totally that girl, too. 😉 This looks amazing! It’s good to be that girl!